The person you should not trust after a car accident is called a runner. It may seem like they are offering a helpful service, but the truth is, they are breaking the law. A legal “runner” is someone who targets a particular personal injury victim in the hopes of obtaining contact information, so either an attorney or a representative of an attorney can contact the potential case—essentially snatching the case from out of nowhere for representation leading to a hopeful lawsuit. They’re sometimes called “ambulance chasers” for good reason. What this means for the victim is that someone might contact them while they are still in the hospital recovering. This person will offer the victim access to physical therapy, a good attorney, maybe even a rental car while their car is in the shop, all for no charge. The runner will position themselves as a lawyer, but the problem is that lawyers are specifically forbidden from doing this kind of thing. A lawyer cannot legally reach out to someone unless that person has already established a relationship with the attorney. So why are they such a bad thing? Simply put: your information should never be “sold” to the highest bidder. Runners get your information simply by buying it—they can obtain that contact info via police departments, tow truck drivers and even hospital employees. Such information often is kept confidential, and ethically a lawyer never should solicit a potential client at all. So, therefore, hiring a runner to obtain that contact information would also be considered unethical. Remember: if you did not contact the legal representative or attorney in the first place, there should be no reason for the person to contact you. Thankfully very few practice this methodology of “running” down prospective clients as a way of making money. You will, however, find them pretty easily if you happen to be in a city with a high volume of accidents. Just remember to be cautious and defensive of anyone offering help. Do your research, and make sure you only work with qualified legal professionals. You’re in charge. You do the hiring, not the other way around. Don’t believe for one second that you have to accept someone’s offer for representation, because in the legal market, you are the one who makes an offer. 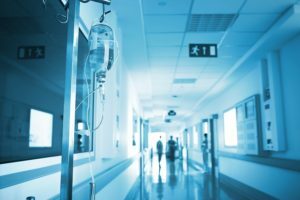 If facing any injury and a potential personal injury case, especially an auto accident, get yourself a free consultation with a truly qualified lawyer for the best possible outcome. 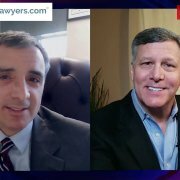 Interview: How is Alimony in Georgia Calculated? Interview: Did Defective Auto Parts Cause a Car Crash?